One of my very favorite things about summer is Peaches! Oh my goodness, I love eating them over the kitchen sink as the juice drips through my fingers. I only buy them from a local farm. Vacationers traveling to the beach stop to buy them on their way to the beach. I bought my 236th bag of peaches yesterday and wanted to make a cobbler or pie or crisp. Looking in my cabinets for ingredients, I decided with the crisp. 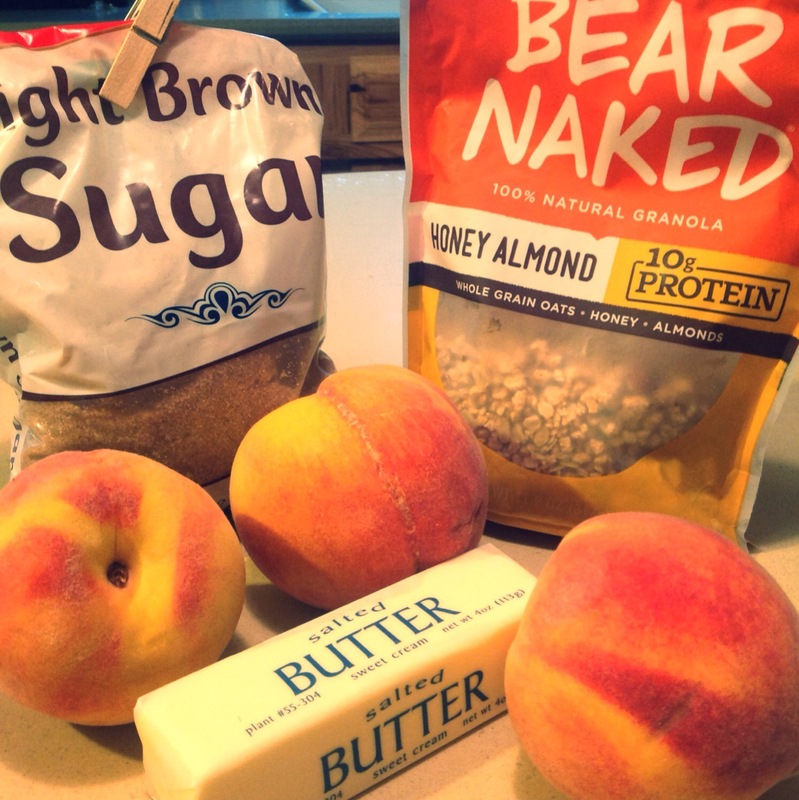 Here are the simple ingredients: Peaches, butter, brown sugar and granola. I peeled and sliced four peaches. Look at the beautiful peach and red colors. These are Red Globe Peaches in which the pit just pops right out. I don’t add sugar to the peaches because they are sooo sweet on their own. I melted a half a stick of butter and half a cup of brown sugar in the microwave. I think I probably could just eat this melted buttery sugar delight all by itself. I put my finger In it to have just an itty bitty taste. I added a cup or so of granola to the melted butter-sugar and stirred it up. 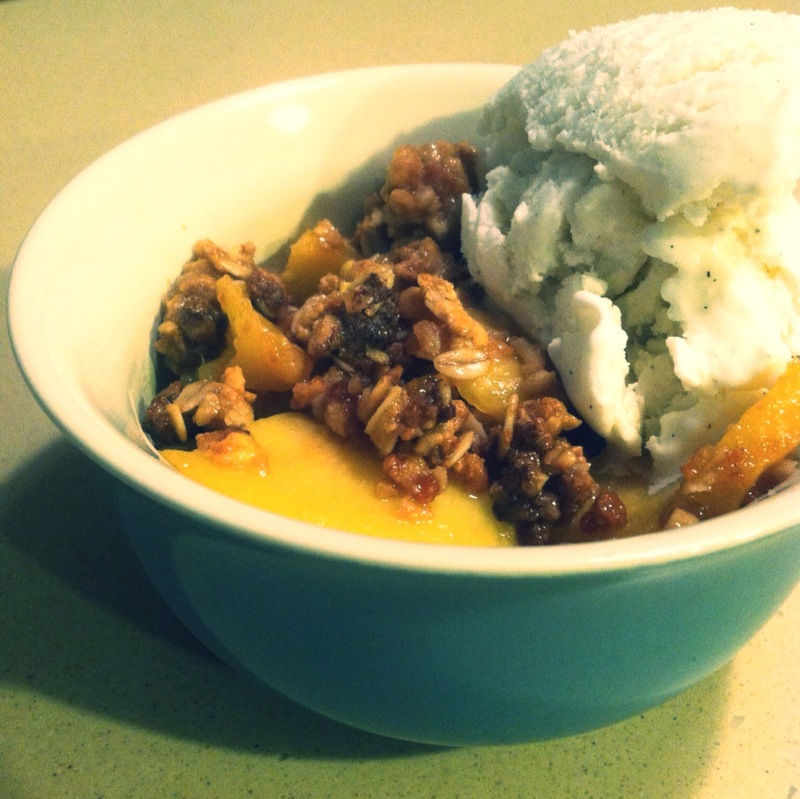 Next step was to sprinkle the granola over the peaches. The crisp was baked in the 350 degree oven for 20-30 minutes. No cobbler-pie-crisp would be complete without vanilla ice cream! Yum yum!!! 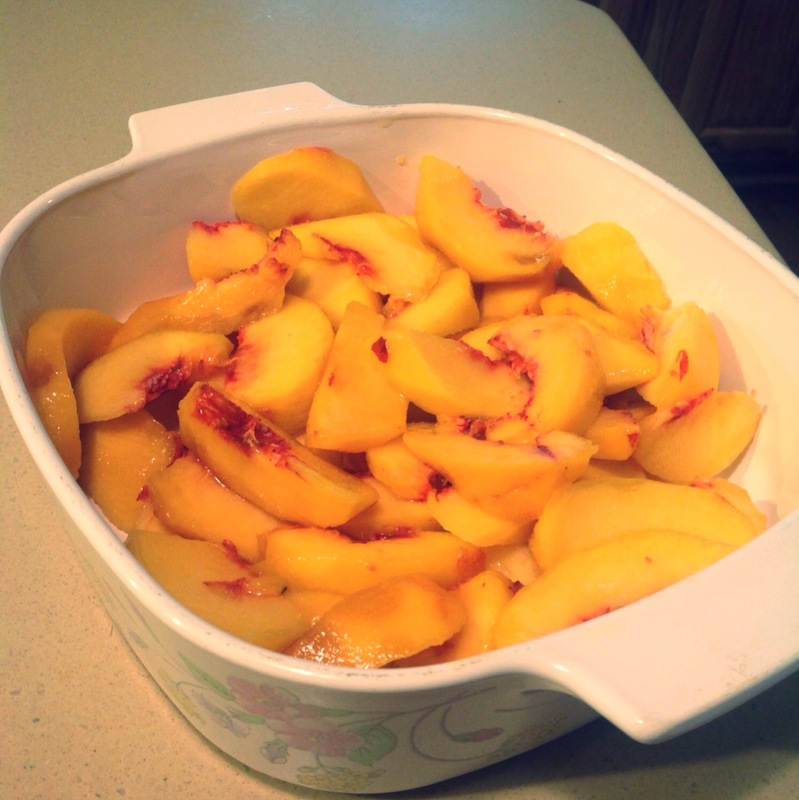 Peel and slice peaches into a 8×8 casserole dish. 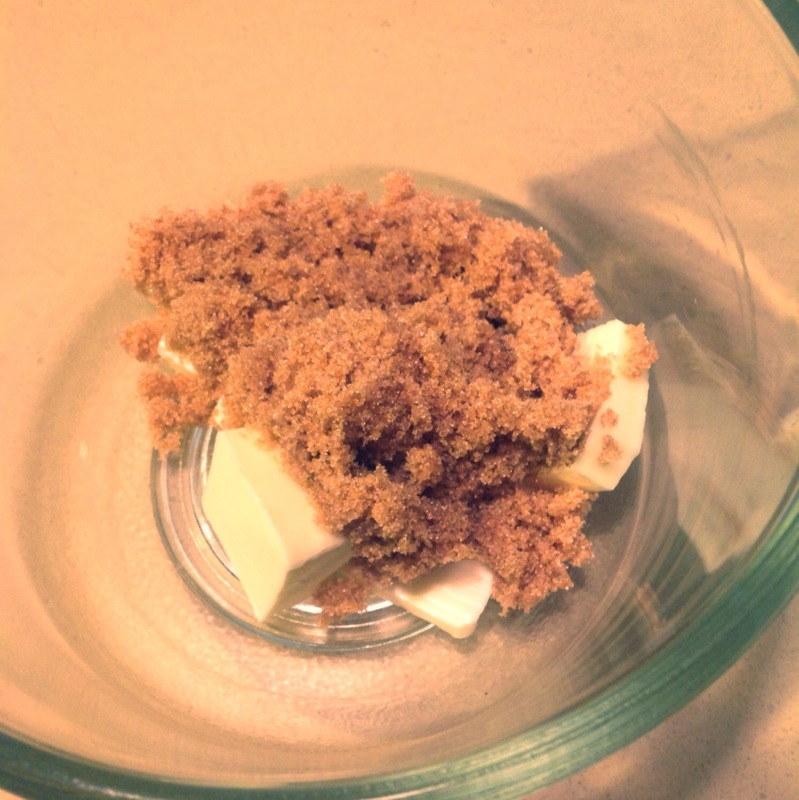 Melt butter and sugar in microwave in 30 second intervals until melted. 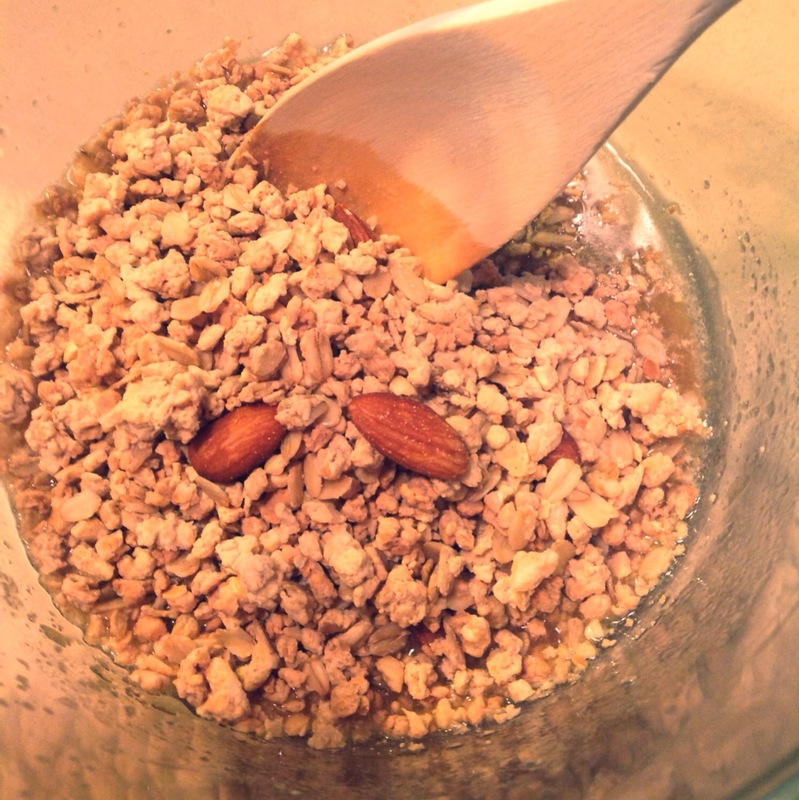 Add granola to butter and stir. 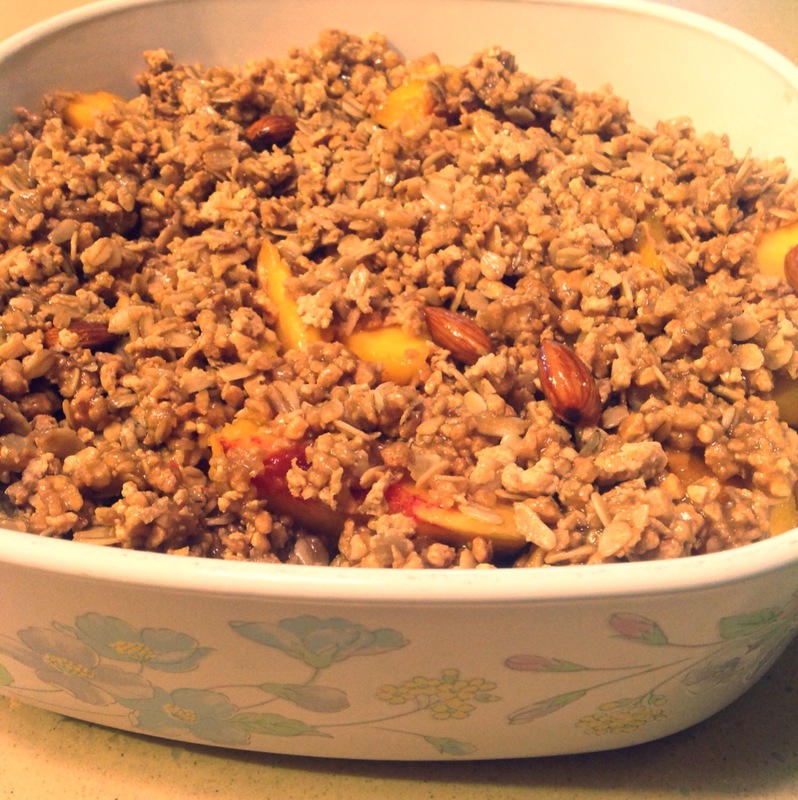 Top the peaches with granola and bake for 20-30 minutes. Hope you can enjoy some sweet peaches this summer! 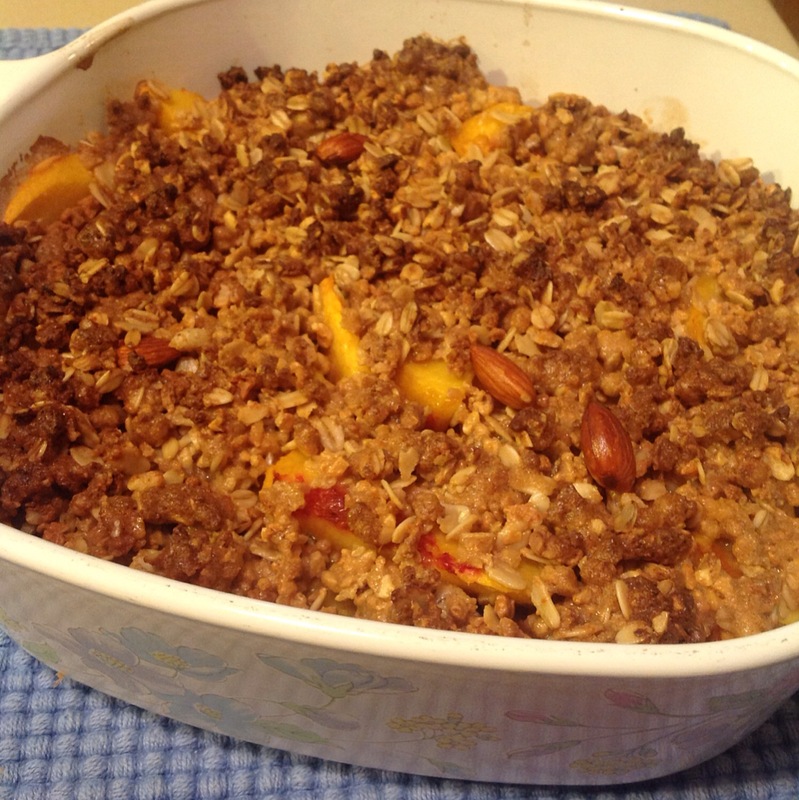 Posted on August 13, 2014 by mary •	This entry was posted in Recipes and tagged granola, peach crisp, peaches. Bookmark the permalink.